A Lasting Power of Attorney (LPA) is a legal document which allows a person (known as the “donor”) to appoint one or more persons (known as the “donee(s)”) to make decisions and act on his behalf if he loses mental capacity one day. The donor should be at least 21 years old and have the necessary mental capacity to make a LPA. Simply put, mental capacity refers to an individual’s ability to make a decision on his own at the time the decision needs to be made. The LPA was introduced in 2010 under the Mental Capacity Act. In 2015, official changes made to the LPA application process, such as simplifying the LPA form and allowing submissions via mail, has resulted in the number of LPAs made to increase by nearly 160%. Despite this dramatic increase, the overall number of LPA applicants remain low. The Straits Times reported at the end of 2016 that only 1% of the adult resident population in Singapore, or about 35,000 people, have applied for an LPA. Certainly, more can be done to encourage Singaporeans to get their LPA done. When the Lasting Power of Attorney (LPA) was made available in 2010, I thought to myself it was mainly for the elderly. Local research affirms this view. According to the latest Well-being of the Singapore Elderly (WiSE) study conducted by the Institute of Mental Health (IMH), one in 10 people aged 60 and above in Singapore has dementia. The results of this study, funded by the Ministry of Health and the Singapore Millennium Foundation, which involved about 5,000 elderly and their caregivers over a period of three years, are cause for concern. In 2012, a total of 28,000 Singaporeans above the age of 60 had dementia. This number is expected to rise to 80,000 by 2030, as Singapore’s population continues to age. What surprised me was the rise in incidents of Young Onset Dementia. Four times as many younger people were diagnosed with dementia since 2011, the National Neuroscience Institute (NNI) has revealed. It had 27 patients under 65 in 2011 and 121 in 2015, though the reasons for the “alarming” rise are not yet fully understood. The observable trends, coupled with the not uncommon news of sudden illness and tragic accidents suffered by younger folks, helped me realize that it all adults should also do their LPA when doing their Will. Most of us know that a Will is a document that appoints an executor and beneficiaries so that the deceased’s assets can be distributed according to the Will. But what about the period of time when you are alive, but lack mental capacity which prevents you from managing your personal affairs (e.g. medical decisions) and assets? The average life expectancy of Singaporeans is 82.4 years, according to the Department of Statistics. If a person has dementia in their 70s, that could mean a decade of not being able to manage their own personal affairs e.g. deciding on medical treatment, using Medisave, receiving insurance pay outs, renting out /selling shares or HDB flat etc. With life expectancy set to increase and the incidence of dementia also on the rise, it really does make a lot of sense to do your LPA with your Will. Citizens, Permanent Residents (PRs) and foreigners can do a LPA to authorize a donee(s) to manage their personal affairs and assets in Singapore. The registration fee of $75 per LPA payable to the MSF for citizens has been waived until 31 August 2018. Many expect the waiver to end by then as the waiver has been in place since 2010 and the fee was originally $50.00. Currently PRs pays $100.00 and foreigners pay $250.00. Most people appoint their spouse as the first donee and adult child as replacement donees. LPA Form 1 allows you to choose up to 2 donees ad you should complete the Forms yourself. If you wish to have more than 2 donees you should use LPA Form 2 and you are required to appoint a lawyer to draft the LPA for you. If you wish to have 2 donees, you should note that you have the option of choosing 2 dones to act jointly or jointly and severally. Joint means that both donees must decide together so that if one is unable or unwilling to agree no decision can be reached. This also means that if one joint donee dies the LPA is not valid anymore and a new one must be made. Joint and several donees is more flexible and allows either one of your 2 donees to make a decision. The donor’s signature must be signed in the presence of a Certified Issuer, either a practicing lawyer or a certified doctor. The donee’s signature can be witnessed by an adult at least 21 years old and not a party to the LPA. Once signed and dated the LPA must be submitted to the Office of the Public Guardian (OPG) within 6 months otherwise it will not be accepted. If you wish to change your donee(s) after you signed it, you are required to first revoke you existing LPA and then do a fresh one. Where no LPA has been done by and the person is adjudged to lack mental capacity, the only option for the family who wishes to obtain the legal power to make decisions is to apply to Court to be appointed a Deputy under the Mental Capacity Act. Contain a clear opinion on Patient’s prognosis. The specific powers applicant requires in relation to Patient’s assets. This court application would no doubt cost more and take longer to complete compared to doing a LPA. If you like to seek legal advice on making an LPA or any other matter related to wills, probates and trusts, you can book a Quick Consult with Lim Fung Peen. When you get an AsiaLawNetwork Quick Consult, Fung Peen will call you back within 1-2 days for a transparent, flat fee starting at S$49 to answer your questions and give you practical legal guidance and advice. 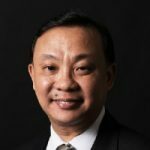 Fung Peen is a veteran of the legal industry and has been in practice since 1996 during which he specialised in Private Client matters. These include matters and proceedings relating to adoption, bankruptcy, conveyancing, divorce, Mental Capacity Act, personal protection orders, personal injury, power of attorney, as well as wills and probate/administration applications. Fung Peen has accumulated substantial experience in conveyancing and conveyancing related matters such as tenancies and leases, actions for distress, recovery of rental in arrears and applications in the High Court for forced sales. Fung Peen is also known for pioneering the successful defence of clients charged with fraudulent trading at the Court of Appeal and his work in corporate and commercial matters to debt recovery, disputes, building and construction matters, winding up, personal injuries claims, landlord and tenancy matters, employment disputes. His clients include Government Statutory Boards and well known MNCs and SMEs. Fung Peen has guided his clients who have had brushes with the law in criminal matters to achieve a fair outcome. The mediation process is something Fung Peen has been actively involved in since its inception in the Singapore Courts and he has successfully guided many clients to reach an amicable resolution to their law suit be it a commercial matter or a divorce. Sharing up to-date and tailored knowledge to benefit his clients is something he also enjoys, whether it is a talk in a small group or a seminar with a larger group.